Totally Renewable Phillip Island’s first potential solar project needs your vote! Putting solar panels on the Phillip Island Early Learning Centre in Cowes is listed under the Victorian government’s “Pick My Project” scheme as “Renewing Our Kids’ Future”. It needs locals to vote for it to gain the funds. You don’t have to live on Phillip Island … residents living within 50 kilometres of Cowes with an interest in renewable energy can vote at Pick My Project. Register your name and address, then select “Renewing Our Kids Future” as one of your three preferred projects. The project aims to install a 30kW solar system at the Centre. It was put forward by a parent, with Energy Innovation Co-operative as project partner. A June public meeting in Cowes heard of other communities in Australia and overseas setting community emissions reduction targets. The meeting voted overwhelmingly to support a “Totally Renewable Phillip Island” target that “Phillip Island will be a carbon-neutral community by 2030 through our collective efforts to use clean, efficient energy, reduce pollution and offset emissions”. Phillip Island’s large number of groups, individuals and businesses already actively improving the environment, plus its high profile, make it an ideal local leader in working to achieve a community target. 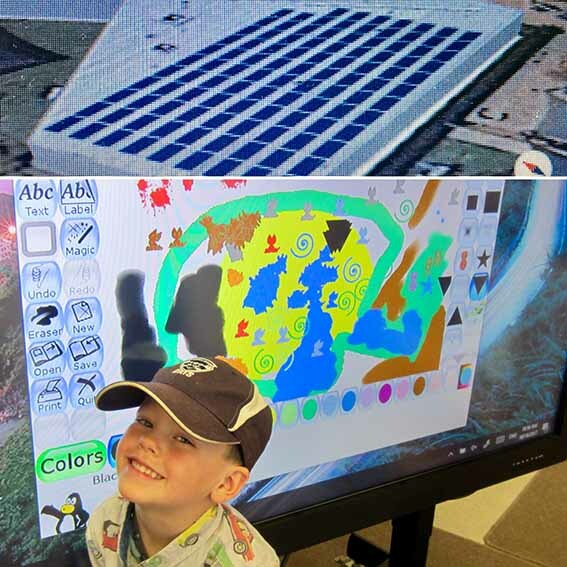 In late July, the solar “Renewing Our Kids Future” project was one of around 50 ideas for community action put forward at an open planning forum held at the Phillip Island Community Learning Centre (PICAL). Representatives from the seven collaborating groups initiating the forum, plus Phillip Island Nature Park, Westernport Water, the National Vietnam Veterans Museum, Bass Coast Shire Councillors and other businesses and individuals, brainstormed ideas which were then “wrangled” into a (draft) basic structure, action plan and priority list. At present there are five working groups beginning initial activities. This solar project is the first of the “clean energy” projects. Other work groups include transport, education, carbon sequestration, food & waste. Measuring current emissions and monitoring reductions plus communications are central, relevant to all themes. If you need help to register and vote online visit your library or PICAL for assistance. Visit Totally Renewable Phillip Island’s Facebook page for updates or the Energy Innovation Co-op website. But first we’d like you to register and vote for “Renewing our Kids’ future”!